This cute girl is Venus and I met her a few months ago in Barcelona, at the top of the beautiful Passeig de Gràcia. Venus was wearing a striped top in dark blue and white, high waisted light denim shorts tied at the waist, and brown leather moccasins. 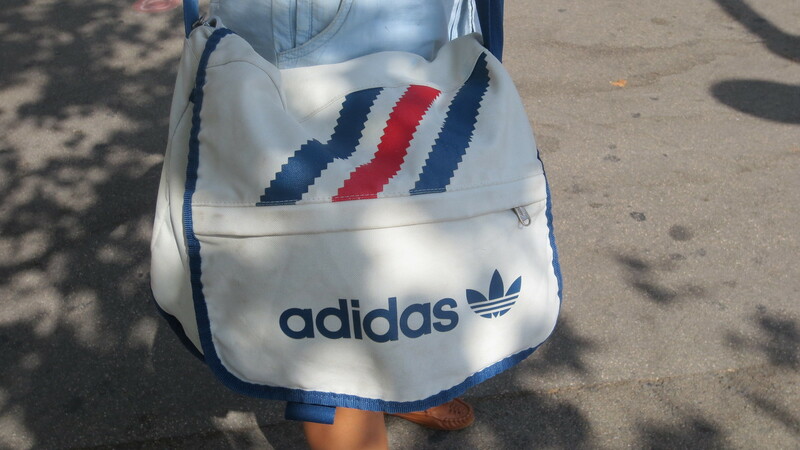 Her complements were a silver watch, some bracelets, black-rimmed glasses, a golden necklace with her name, and a vintage white Adidas bag. As usual, very great and worth reading post. Love the look! Nice look, Venus is indeed super nice and stylish! She looks cute and chic! So cool, chic and effortless, great select.